We are still enjoying, our move from the hustle and bustle of Los Angeles, to the peaceful surroundings of Palm Springs, CA, sunny skies, tennis and spending time in my studio. Since we last sent out a newsletter, I wonder how I found time to work at all. My true passion is all things fiber, textile, color, fabric, and not so much social media administration. Towards that end, I am condensing my social media tools to the wonderfully expanded options provided by Facebook. So, you can find us there, and oh yes, it is so much easier to use, and fits my yarn company so much better. The studio is open by appointment, so just reach me through the website and email, or you can actually set up your own appointment right through Facebook. I still offer the service of knitting help if it is needed, as well as shopping for the yarns that are created and finished, waiting for new homes away from the studio. 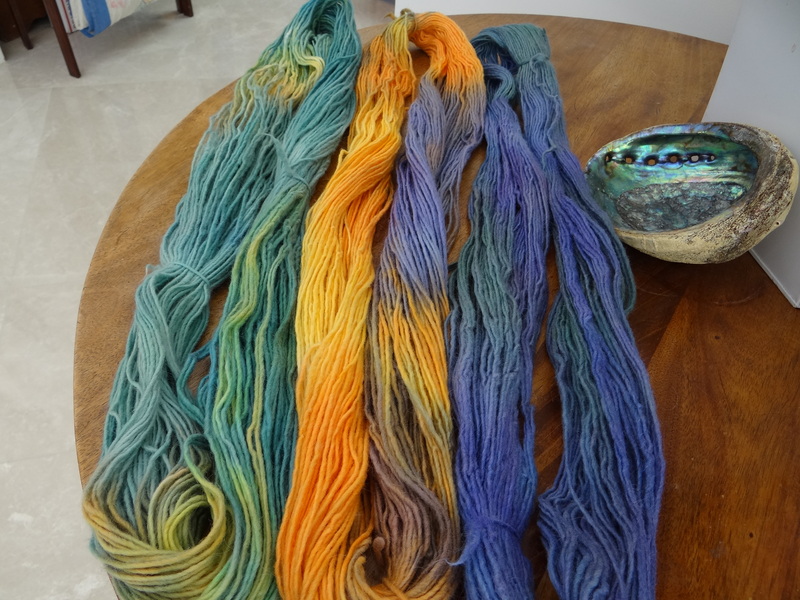 I still have just those 70 or 80 production colors that you can find on the website, and the standard variegated combinations, also on the website, but the fun ones are those “Uniquities”, the one-of-a-kind, paintings on a skein of yarn, inspired by nature, that you can only purchase in the studio. So, feel free to reach out to me by email, if you would like an appointment. These beauties, one of my coordinated bundles, which are usually two or three uniquities and one tonal solid, recently went to their new home in Canada, along with some mink, done in the colorway Acorn. Lucky knitter! We are so happy to announce our move from the hustle and bustle of Los Angeles, to the peaceful surroundings of Palm Springs, California. Many changes have occurred. I am no longer working a 9-5 job that takes me from my true love and passion, all things fiber, textile, color, fabric, to name a few. We have completed renovating the home we are living in, and I am in a position to devote all the time I want to my beloved yarn company. I have the ability to open my home studio, by appointment, for now, and for open knitting, crocheting, or any form of hand sewing in the near future! 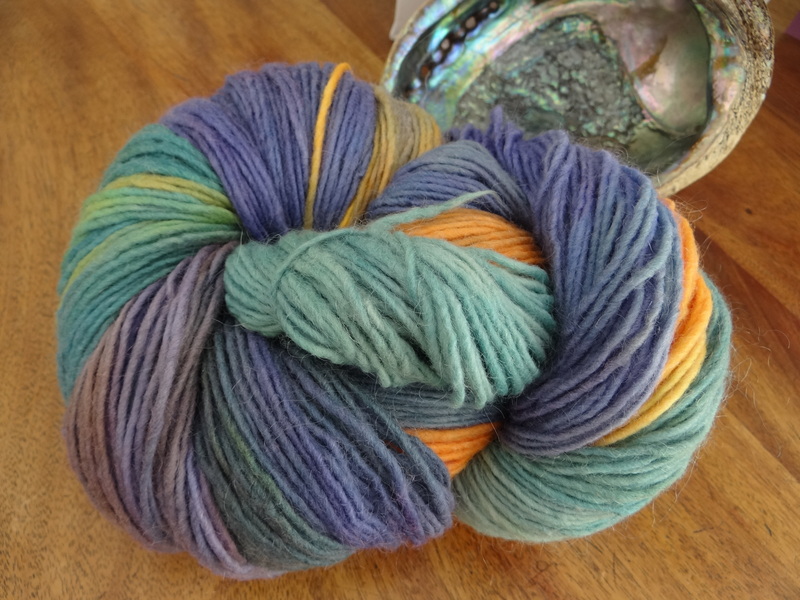 I still have just those 70 or 80 production colors that you can find on the website, and the standard variegated combinations, also on the website, but the fun ones are those ” Uniquities” the one-of-a-kind, paintings on a skein of yarn, inspired by nature, that you can only purchase in the studio. So, feel free to reach out to me by email, if you would like an appointment. My plans for new colorways, center around team colors. I have long wanted to do something in this vein, and for now, the first one will be to honor one of my favorites, the Ohio State Buckeyes and do a red and gray combo. In RBY-speak that would be Holiday Red and Charcoal. 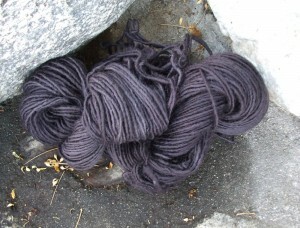 I plan to do my 2 color skeins, so you will knit or crochet starting with one color, ending with the second color. Does that look like those Buckeyes, or what? You can order now, if you like, just by emailing me, info@redbarnyarn.com or stay tuned to find this on the web site. You may also place requests for your favorite team colors. Red Barn Yarn® is absolutely thrilled with the response of our friends and fans when we put out the call to help us name our new yarn. We would like to take an extra moment here to say Thank You again to all the podcasters and bloggers that helped us to spread the word about the newly developed yarn in the Red Barn Yarn® line. Please do check out their podcasts and blogs! A special Thank You also to everyone who participated in requesting a sample and thoughtfully submitting your ideas. The entries were wonderful, and this was not an easy choice! Our team of judges included Catherine Petitti, owner of Red Barn Yarn®, Jennifer Burt, Editor-in-Cheif of Love of Knitting magazine, and Valerie Spanos & Karen Hostetler of Mountain Meadow Wool. We received over 50 entries, many of them clever and well researched. Catherine felt several of the names were so wonderful that she will be asking permission to use them as new colorway names! 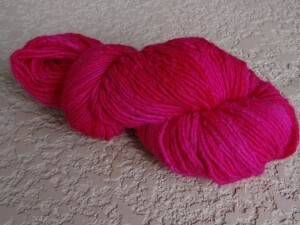 So, what is the name of the new Red Barn Yarn? Grand Prize Winner: Denise, with “Creekside“, wins a 1 year subscription to Love of Knitting magazine, 7 skeins of our new yarn and for the first year of sales the yarn will have a special tag with her name on it! Second and Third Place: Annette, with “Zen“, and Ruth, with “Allure“, each win a 1 year subscription to Love of Knitting magazine and 2 skeins of the yarn! We have exciting plans for this new yarn! Look for it in the Spring 2015 Love of Knitting. Creekside will be posted to RedBarnYarn.com shortly, stay tuned to Ravelry and the Red Barn Yarn® Facebook page for further announcements and details. You may order this yarn now, on a pre-order basis as the mill will be spinning for us in June. Expected delivery to customers will be in late June, early July 2015. At that time we will also have a mystery knit along shawl pattern, that will require three skeins of yarn, and is available in 3 different color-ways; jewel tones, earth tones, or primary colors, each color-way will have a total of 6 different colors contained in the three skeins. For your Holiday gift giving, please check Ravelry for newly posted one skein shawl patterns using our hand-painted Mink yarn. Happy Holidays from Red Barn Yarn! The holiday season is starting to pick up speed and Red Barn Yarn® hopes that you will be able to carve out some time to cast on a new project or two. Are you looking for a great gift idea or maybe a special project for yourself? In this blog post we wanted to share with you a bit of project inspiration! The Winter 2014 Issue of Love of Knitting includes 2 patterns that call for Red Barn Yarn®! You don’t have to make a special trip to the shop to pick up your copy (unless you want to, of course! ), you can click here to purchase the digital edition! The Angela Jacket, designed by Therese Chynoweth, features an on-trend chevron stitch pattern. Knit in Red Barn Yarn® Bulky, the resulting toasty fabric is perfect for chilly winter days. Easily dressed up or down, this beautiful tailored cardigan will knit up faster and easier than you’d ever imagine. Click here to purchase the Angela Jacket pattern! Layers are perfect for transitioning from fall into winter. The Moroccon Spice Set, designed by Jill Wright and Tina Jackson, is knit in Red Barn Yarn® Powder River. The vest features a cabled back and lacy front, with elongated front pieces for a uniquely fashionable look that complements the simple and chic skirt perfectly. Click here to purchase the Moroccon Spice Set pattern. Which projects are making it onto your hooks and needles? Let us know in our Ravelry group or share your project on our Facebook page! Diva Bundles are designed to give you a tidy grouping of Red Barn Yarns for a quick project or gift item. Diva Bundles are also just enough to use to make braids, tassels, fringes or embellishments to other projects. The Diva Clutch and Diva Clutch 2 are each available as free downloads on Ravelry and each project can be made with just one Diva Bundle. 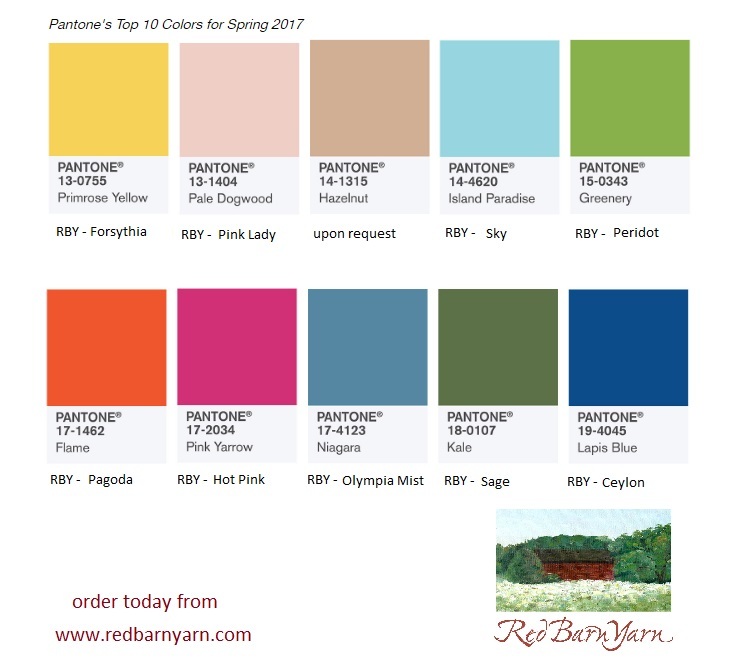 To order a Red Barn Yarn® Diva Bundle, please email info@redbarnyarn.com and specify your color preference of reds, blues, or greens. Each bundle includes 70 yards of Red Barn Yarn plus fancies for $10 plus shipping. We are past the mid-point in the Red Barn Yarn® Name the Yarn promotion! 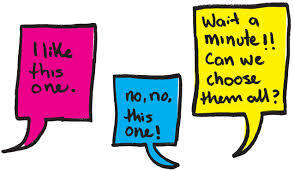 Hopefully you have received your sample and have been inspired with a name idea. If you’re still swatching and letting the yarn speak to you as you work with it, that is OK. Name submissions will be accepted until November 15,2014. In the Red Barn Yarn® Afficianados, our Ravelry fan group, we have set up a thread in which you can share what you made with your sample! Share your photo for a chance to win a skein of newest Red Barn Yarn®! To further inspire you to work up the Name the Yarn sample, we have created a Pinterest board devoted to projects that can be knit or crochet with minimal yardages! Be sure to keep an eye our Facebook page and Ravelry group for more as-it-happens Name the Yarn information and Red Barn Yarn® news and events!